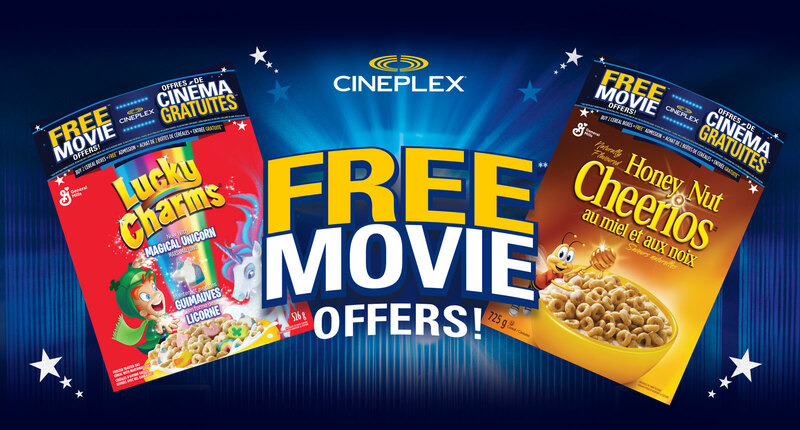 Cineplex and General Mills Canada are having a FREE Movie Offer Promotion. Enter your unique coupon code and email information in the form here to receive your Cineplex Movie Offer from General Mills. Your unique coupon code can be found inside your General Mills cereal box. Adult codes start with the letters “CN” while Child codes start with “CC”. Valid for Showtimes Sunday – Thursday. One time use only. Adult and Child codes are separate and cannot be combined. This unique voucher code is VALID ONLINE ONLY at www.Cineplex.com/freemovieoffer for one Free General Admission ticket (Adult or Child) when used with another unique voucher code or one Buy 1 Get 1 General Admission ticket, from March 3 – June 30, 2019. Voucher code must be used by June 30, 2019. Please see site for more details. Click here for more details on this Cineplex Canada promotion.